Information Technology plays an increasingly important role in every organisation. Charities and the Third Sector are no exception, but with reducing budgets and increasing costs, it is very tempting to cut back on ICT investment. However, even in these difficult times bargains are still available and many ICT companies are willing to help charities with generous reductions. You just have to know where to look. Where can I make savings? This will always be the hardest area to find a reduction. The manufacturer has to buy the components to make the PC. You might be able to obtain special pricing or sponsorship from a manufacturer or a distributor, but you should also look at websites such as www.communitybuyer.org or www.ctxchange.org. If you are involved with the public sector, ask if you are able to take advantage of their procurement frameworks. If you have to buy directly from a manufacturer or distributor, try to find out when their quarter and year ends are. Salesmen are always keen to make their targets. One other avenue you might consider is Refurbished/Reconditioned equipment. 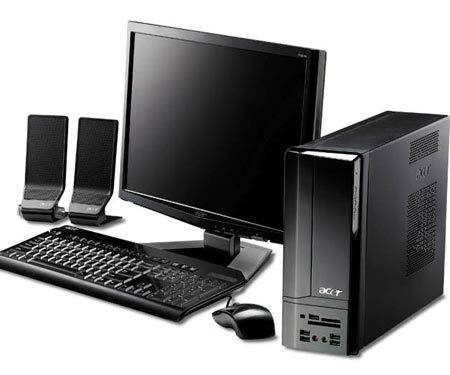 Many large organisations recycle their PCs after three years. Microsoft has an authorised refurbisher scheme that allows refurbished PCs to be supplied with a Windows operating system for a nominal fee. AMI services in Belfast provide this service. Services are expensive, but again you should look at sites such as www.communitybuyer.org , www.ctxchange.org or Business in the Community, www.bitc.org.uk. Many businesses are happy to look at specific projects as part of their CSR programmes. Software is a significant cost to any organisation, especially when one considers how frequently it must be upgraded. However, this is one area where charities especially can make significant savings. Many manufacturers provide their software at heavily discounted prices through a number of schemes. As long as you meet their eligibility requirements, you really should consider this option. The following are some examples of Microsoft pricing. One point of caution. Some of these software deals might not be appropriate to every organisation. If you only have one or two PCs, it might be just as cost effective to buy from a traditional vendor.